Green roofs are made up of layers of vegetation that sit on top of conventional and water proofed roof surfaces. * Instant, long-lasting visual impact. * Sustainable new habitats for wildlife. * Easy installation, maintenance and irrigation. * Energy savings for the building below. Green roofs offer many benefits including ecological, energy saving, architectural and visual benefits. They are generally easy to install and maintain. There are various applications for green roofs from domestic, pitched or flat roofs to large and expansive commercial roofs - planted with herbs, sedums, grasses and wildflowers. 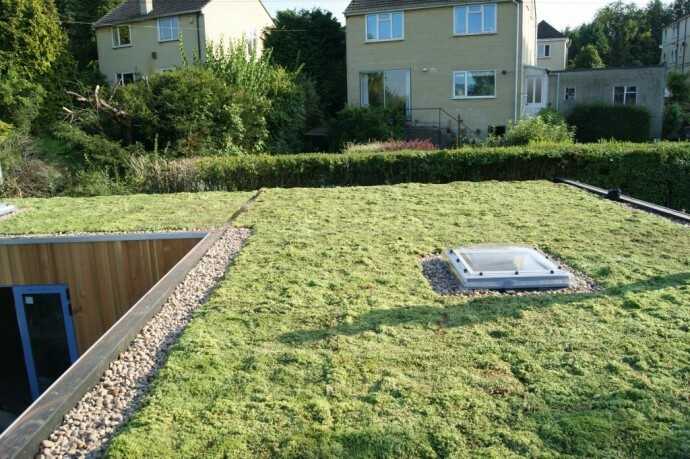 We offer a complete range of green roof services and tailor solutions to suit the location and size of your project.